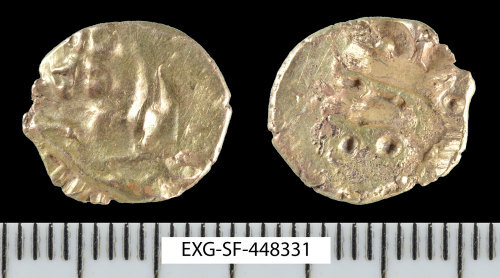 An uninscribed gold stater struck for the Eastern Region/Catavellaunii, dating c. 60-20 BC. Rudd's 'Early Whaddon Chase' type, see ABC no. 2433.